We covered yesterday the report in HLN.be in Belgium on the situation between Newcastle and Anderlecht in trying to get their 20 year-old striker Aleksandar Mitrovic to sign for Newcastle. Newcastle are in pole position to sign the youngster, but they have yet to convince his father that Newcastle is the right place for his son, who wants to play Champions League football. This is getting to be a drawn out affair, but at some point if no agreement is reached, then the Mitrovic family will walk away or Newcastle will walk away. If he really doesn’t want to come – he doesn’t want to come. But there was some additional news in the Belgium newspaper Het Nieuwsblad yesterday, and it seems Newcastle’s offer is still a little short of the Anderlecht asking price. To Newcastle or not, that’s the question that Anderlecht striker Aleksandar Mitrovic is wondering this week. 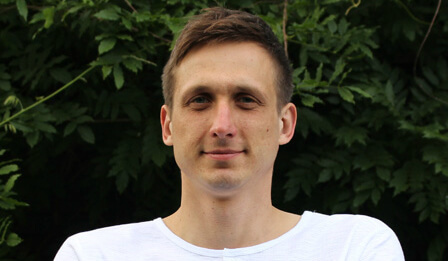 But not Aleksandar whose mom, dad and younger brother Milan were reported on Sunday at St. James’ Park. The striker himself this afternoon in anticipation of a possible transfer did not play in the friendly game for Anderlecht against Turkey Basaksehir. 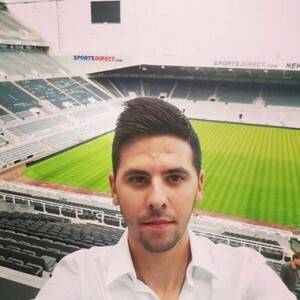 This morning there were Instagram photos of Milan Mitrovic, the 17-year-old brother, who was in Newcastle. And now it seems they parents of the Anderlecht striker are in the northern English city, at the invitation of the Premier League club. Father Mitrovic who has a major say in the future destiny of his son, has yet to be convinced of a transfer to the English middle bracket club – and of life in the drizzly English north. The Magpies hope the family with a tour of the impressive St. James ‘ Park (capacity 52 387) can be convinced. Meanwhile, son Aleksandar was not in action in the exhibition game against the Turkish side Basaksehir, despite the contrary statements made by coach Besnik Hasi. The striker would have been left out because of caution in anticipation of a possible transfer, although that certainly does not mean that an agreement with Newcastle has been reached. There are Porto, AS Roma and Benfica still interested, but Newcastle are currently in pole position, since the club is willing to pay about €16.5M – the best offer. That is not yet the €18M that Anderlecht want to get for his goal-scoring ability, but that problem can be solved with some bonuses. It’s not much of an update from what we put out yesterday, except for the fee – and the drizzly weather in Newcastle – what?? We would say something will be decided within a couple of days – one way or the other. I totally agree. I’m always totally knackered and out of sorts for days afterwards when returning home. My last one from Singapore was worse than I have ever experienced. It must get worse with age. They could fly to South Africa which is on the same time zone. If the club had said no to the family I’m certain that there would have been a flood of postings on this and other blogs about the tight fisted Ashley and the short sighted Charnley. Sticking by what i said earlier. Agreements made today or it wont happen. Just my opinion. There’s concerns about the weather and they arrive when it’s pouring down, after all that lovely sun. Typical. Sometimes people have the same name. We do seem to be coming across a little desperate here. According to the chronny the fee has been accepted. If it wasn’t then how are we talking to them? I thought this is how it was done. We are trying to sign him not his family, yet he hasn’t even bothered to come over? That’s not right. Im always going to have doubts about this deal. Newcastle are currently in pole position, since the club is willing to pay about £16.5M – the best offer. £16.5m =€22.5m. Is it £Euros or €GBP Ed? I’ll just grab a couple of aspirin…. They can afford 100% wool not like us with our synthetic crap. This is from the Chronny this morn..
Newcastle are so far the only team to match Anderlecht’s asking price and have made a sales pitch to Mitrovic’s agent and family that includes the 20-year-old more than doubling his Anderlecht wages as part of a five-year deal, that will see him spearhead Newcastle’s attack next season. I think he got his carpet burns from the casino carpets ? or i’m on a completely different page. Slank urgh travelling to pacific States as long as I time my sleep I’m absolutely fine it’s just like having a few late nights but a day or so after travelling to far east I was ready to be shovelled into a bin bag. I used to think I was catching ‘flu ha ha. Add this to being knackered from heat, humidity, (keeping the electrolytes balanced is a pig) travelling, training and packing more competitive matches in than usual in a short time frame, they’ll be absolutely no good for at least a week may be more, competitively. I think the whole shenanigan is a complete PR farce seeing as the end result even for PR will be a damp squib. Brummie has obviously not ridden the living room Grand National. Taking the piss this one, they must think they bloody royalty, i wouldnt have the patience if I was doing the talking with the player, give the clown a deadline if still no answer tell him to P off. They’re just waiting for the last minute call from a club in a warmer climate who Qualify for PL every year . Did the Serbian Blokes brother burn his forehead on one of the light bulbs yesterday ? You make it sound like Ashley is being hard done by ! If his brother (or dad) plays centre half, get them both signed. On Milner, wasnt he getting replaced by Sweinsteiger when he left us.? For anyone who hasnt seen this, worth a read. Made me laugh. This is probably the part where somebody pops on to tell me he nearly died in an accident or something. Lets just forget about it. I would have expected a pro sportsman to wear some kind of knee protection. Well some kind of protection anyway…. If his club hasn’t released or prepared to let him leave the training camp it has to be the fee I would expect him here within the next two days for a medical. Wijnaldum is flying to the states on wed so you would think he would travel with him once signed. Slank @1 I clearly have a vested interested in pre-season friendlies in SA, but they could do a helluva lot worse. Same time zone and relatively easy overnight flight with great stadiums and fanatical football supporters (see @Kaiser chiefs or @orlando pirates). Properly handled, I can see friendly matches played before 30,000 or possibly even more. Something they should think about imo. Could be Charnley penny pinching over a couple of mil like, so he has sent his family over to check incase we meet there asking price eventually. Yeah its not hard to figure out, really. The last little paragraph was a nice little finisher, and not exactly far from the truth. Con artist ? me ? never. How insensitive?! The lad nearly died after bumping his head on a light bulb!